New generational insights from our study with Northstar Research Partners show that Japanese travelers may be vacation deprived, as they are traveling significantly less than other Asia-Pacific countries. However, when they do travel, they prefer sightseeing trips and staycations, and enjoy culture and relaxation – perhaps on the beach or at the spa. They prioritize their food experience, the lowest price, activities, accommodations and transportation, and rely on search engines and online travel agencies (OTAs) to plan and book their trip. 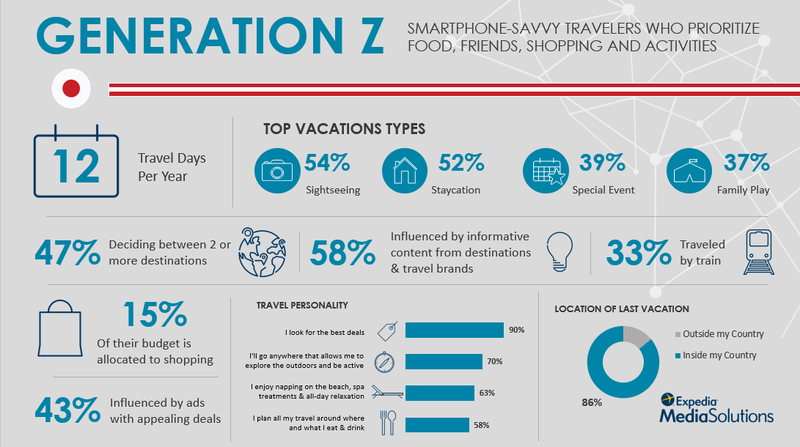 Gen Z are open to destination inspiration, as 40 percent are deciding between two or more destinations; 70 percent said they’ll go anywhere that allows them to explore the outdoors and be active, while 63 percent live for all-day relaxation, napping on the beach and spa treatments. When prioritizing, Gen Z also look for a place where they can vacation with friends and allocate 15 percent of their budget to shopping, which is higher than any other generation. 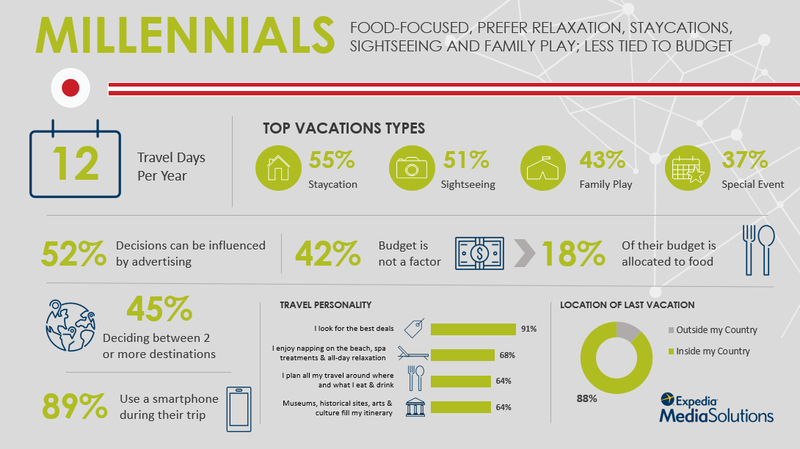 Millennials on average only travel 12 days per year, and when they do travel, they prefer staycations, sightseeing or family play trips. More than one third of Japanese Millennials said budget is not a factor when deciding a trip, and allocate 18 percent of their budget to food. In fact, 64 percent of Millennials plan travel around food and drink, and prefer to fill their itinerary with museums, historical sites, arts and culture. 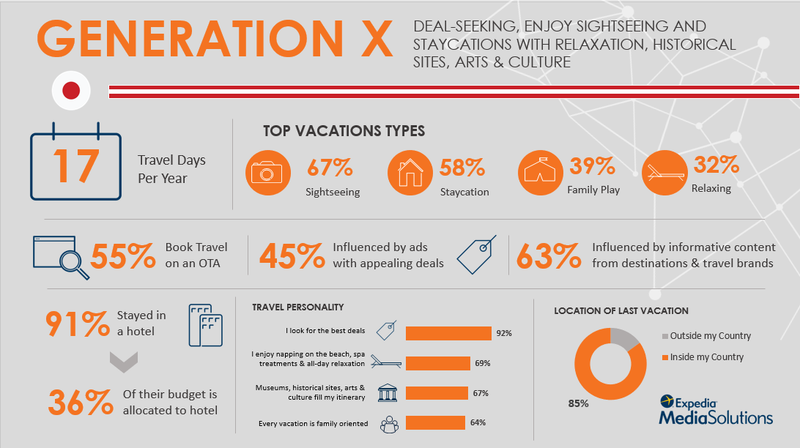 Gen X are traveling an average of 17 days per year, and more than half (55 percent) book their travel on an OTA. 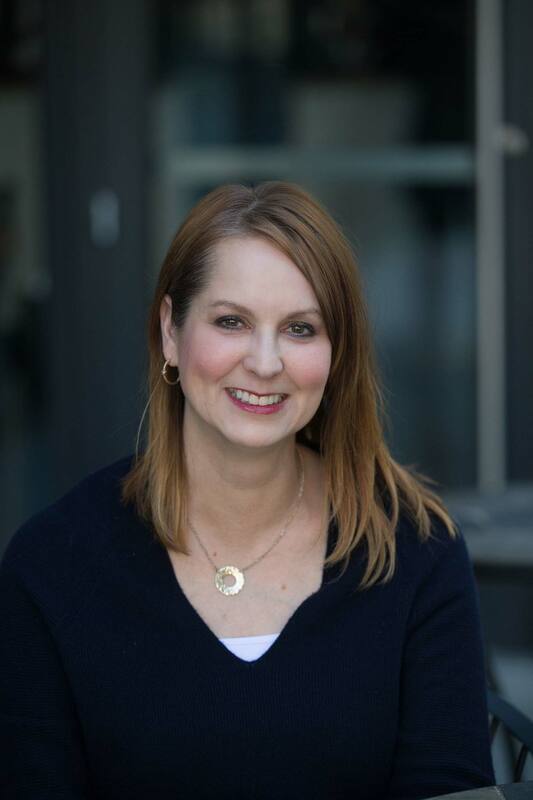 Two-thirds said they are influenced by informative content from destinations and travel brands, and allocate more than one-third of their budget to a hotel. Baby Boomers travel the most (18 days a year) and 16 percent travel internationally, which is more than any other generation. Boomers fill their travel itinerary with museums, historical sites, arts and culture, and nearly 70 percent said every vacation is family oriented. 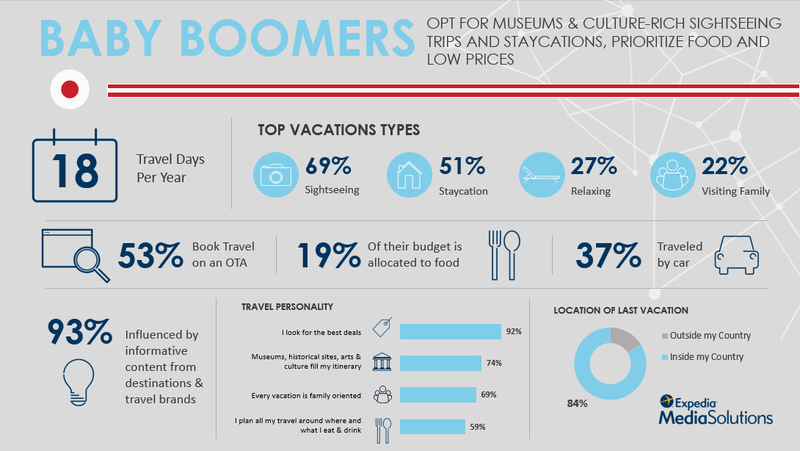 Boomers allocate 19 percent of their budgets to food when they travel, and said budget was not a primary factor for booking a trip in general.